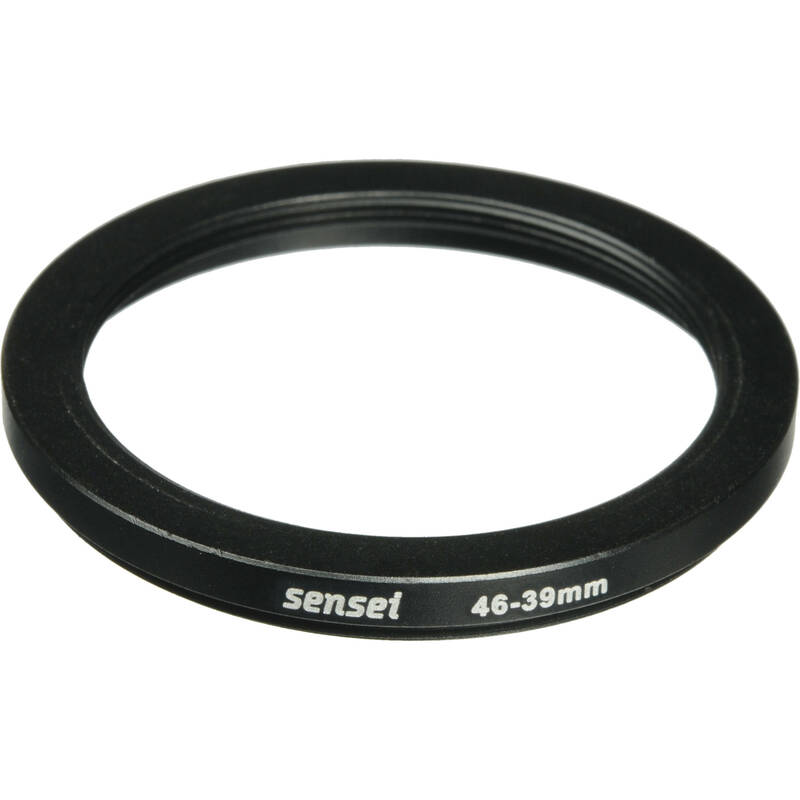 The Sensei 46-39mm Step-Down Ring is a step-down ring permitting the use of 39mm threaded filters on a 46mm threaded lens. This black anodized metal ring provides a durable solution for using one size of filters with various sized lenses. Box Dimensions (LxWxH) 5.4 x 3.8 x 0.02"
46-39mm Step-Down Ring is rated 2.0 out of 5 by 1. Rated 2 out of 5 by Armando M. from Sensei Step-Down Ring Does what it is suppose to do. Quality not up to the standards I would like. Seems to be made out of aluminum. The ring tends to bind when screwing it on the lens. I would have preferred paying a little more for a brass made ring.